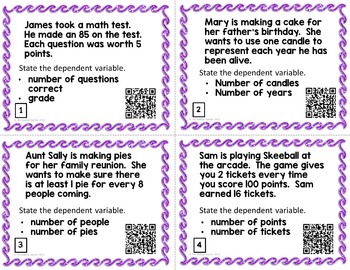 This set of 20 task cards help students to practice identifying dependent and independent variables. Students are also asked to formulate equations based tables and story problems. 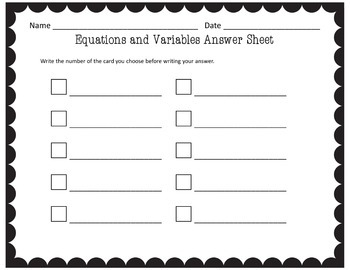 Three choices of recording sheets and an answer key are included. More than 20 students? No problem! 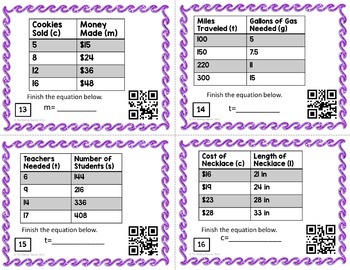 4 “brain break” cards are also included so that each student can have a card. 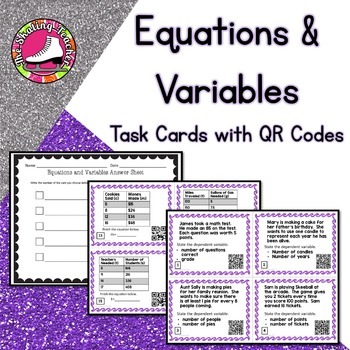 You can also have your students work in pairs or groups and still use the brain break cards as a rest between problems. If your students have access to smart devices (such as iPads) with a QR code reader, they may self check if you wish.